Plus, four summer guides to help you squeeze in your last bit of fun in the sun! 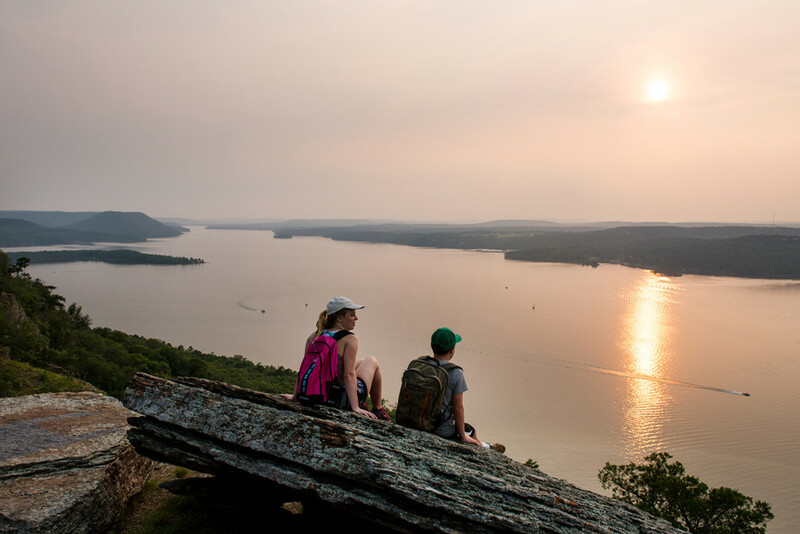 Sugar Loaf, a mountain that sits as an island in Greers Ferry Lake, can only be reached by boat. Labor Day weekend is all about relaxing and enjoying time with family and friends. We've got a great lineup of events as well as several summer fun guides to give you plenty of ideas for your long weekend! Twilight Hike at the Little Rock Zoo: Join the Little Rock Zoo to explore the creatures of the night. Learn about owls, bats, frogs and even the night stars! This program from 6-10 p.m. comprises of a night hike around the zoo and with several other activities including a break for s’mores! Registration is required: $30 for members and $35 for non-members. Visit the website for more information. Great Southern Stone Skipping Championships at Fairfield Bay Marina: Give competitive stone skipping a try with flights for both children and adults. Cash prizes for winners! The fun goes from 9-10:30 a.m. and proceeds benefit Arkansas Foodbank and its member food pantries in Choctaw, Clinton and Greers Ferry. Cost is $10 to enter (free for spectators). Call 501-688-8850 or visit the Facebook page for more details. Bike MS Poker Run At Recycle Bikes for Kids: Take a self-paced, family-friendly, choose-your-own route bike tour of downtown Little Rock and North Little Rock. Make five stops on an approximately 15-mile bike ride with lunch and prizes following. Registration begins at 9:30 a.m., bikers depart at 10:15 a.m. and riders must return by 2 p.m. Proceeds suport MS Society. Call 501-588-0686 for more details. Wiggle Worms: Food Discoveries With Whole Foods at the Museum of Discovery: Wiggle Worms introduces children 6 and younger to science in a fun, hands-on and interactive environment! The program goes from 10-10:30 a.m. and is included in regular museum admission: $10 for adults and $8 for kids 12 and under. Click here for more information. Owl Prowl at Pinnacle Mountain State Park: Peek into the darkness and discover a world filled with owls. Join a park interpreter on a guided hike along the Arkansas Arboretum Trail in search of the elusive nocturnal hunters. Hike starts at 7:30 p.m. Click here for more details. FREE! Labor Day Kayak Float at Pinnacle Mountain State Park: There's no better way to spend Labor Day than out on the water! Paddle your way through Pinnacle’s majestic lowland river while viewing large cypress trees and a variety of wildlife. Advance payment and registration required: $40 per kayak. Meet at the Big Maumelle Boat Ramp at 9 a.m. Call 501-868-5806 or click here for more details. Harry Potter Movie Marathon at Cinemark Colonel Glenn 18: Head to The Rave for a healthy dose of wizardry on this magical long weekend. Every Harry Potter film and "Fantastic Beasts and Where to Find Them" will be screened multiple times over the course of the four days. Tickets are only $5 per film. For more info, click here.